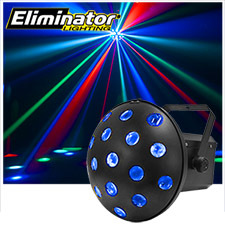 The Eliminator Lighting LED Mushroom is bringing back the classic mushroom Effect with a brighter and more efficient LED light source! 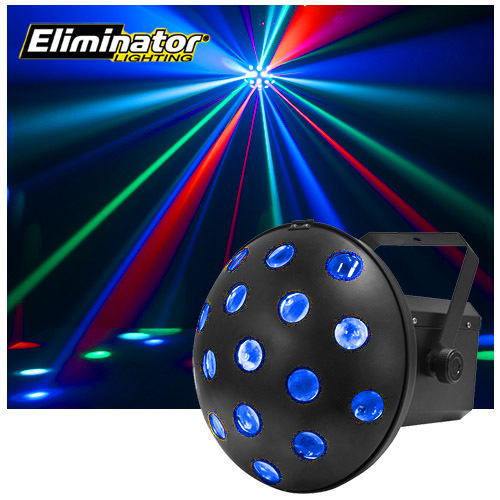 Equipped with LED technology you can expect the same classic sound active feature but now with a much higher impact of multi-colored bright LED beams, longer light source life cycle, Master/Slave & DMX modes. The LED Mushroom is great for clubs or the mobile DJ on the Go!